ANB President and CEO Ginger Martin flew in to Washington, DC to meet with congressional leaders from both sides of the aisle to make a case for regulatory relief, tax reform, the closing of the credit union tax loophole, and the re-authorization of the Ex-Im Bank. 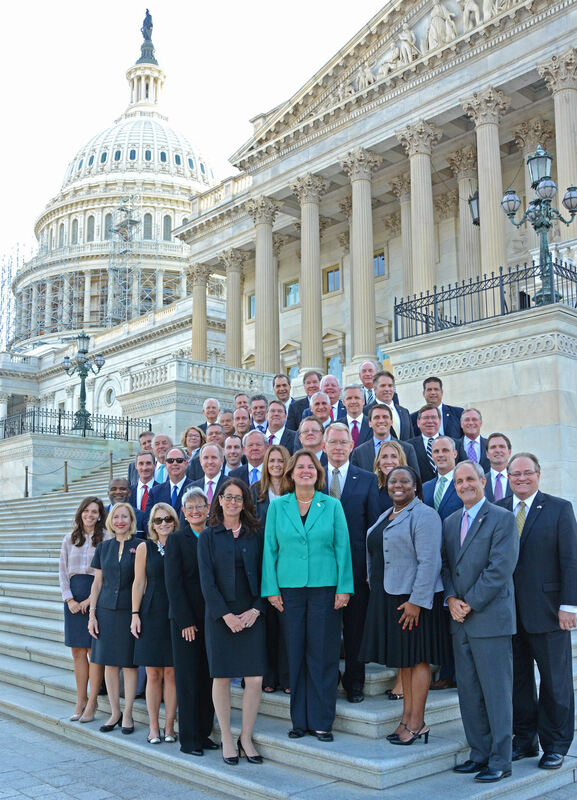 In the picture below, she stands on the steps of the United States’ Capitol with a group of Florida, California, and North Carolina bankers who she accompanied on the trip. This entry was posted on Thursday, September 18th, 2014 at 9:43 am and is filed under Uncategorized. You can follow any responses to this entry through the RSS 2.0 feed. You can leave a response, or trackback from your own site.